Thanks for taking our special challenge to make your marriage even better. We hope that as you begin to make your way through these lessons from ancient couples, youwill commit to building a closer marriage that lasts.We’ve included a life-lesson for each day specific to husbands and wives. We don’t have to tell you that no marriage is perfect. But we pray that you, along with us, are progressing toward being a couple after God’s own heart. 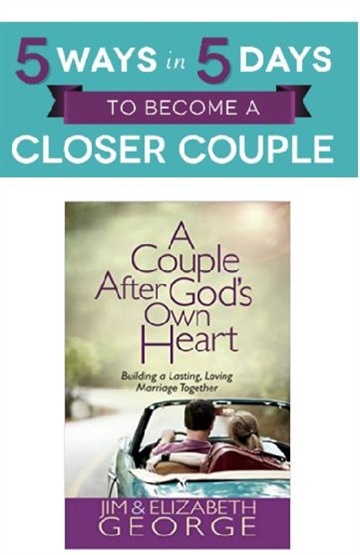 With that in mind, let’s look to the life examples of key marriages in the Bible, and discover what it takes to be a couple after God’s own heart! Powerfully shape the hearts of children and teenagers.Enjoy greater intimacy with God.